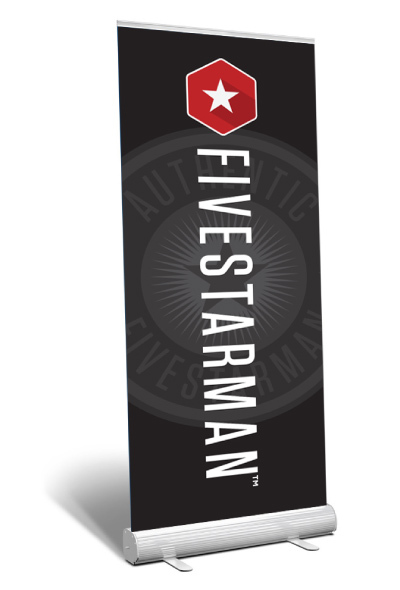 Brand your FivestarMan meeting space with this attractive and easy-to-setup 33″ x 79″ retractable banner. 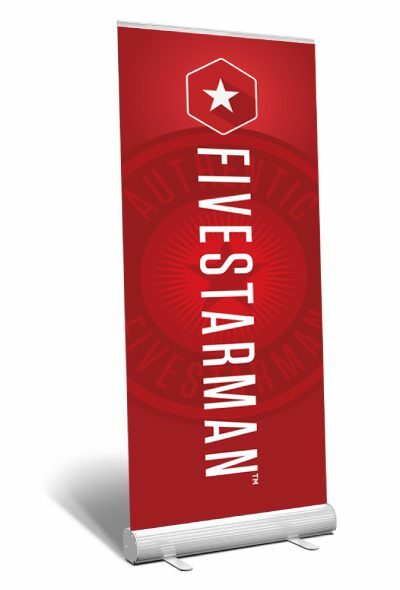 The aluminum single-sided roll-up stand features strong and sturdy construction with heavy-duty molded end plates. Snap aluminum top frame holds the banner securely. Comes with a durable carrying bag. Banner included. Buy two or more for maximum exposure. Also available in red print.